An inspiring scheme to support people recovering from drug addiction is turning lives around. Kevin Neal – who has abstained from drugs for 19 years – combined his entrepreneurial background with his experience in rehabilitation to set up the Compass Project. 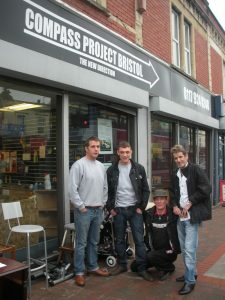 The initiative launched as a self-funded charity shop on Gloucester Road around 18 months ago and for the first year Kevin ran an pilot to test how the project would work.